To begin with East/Northeast India, a cyclonic circulation lies over Bihar and another cyclonic circulation is seen over central parts of Assam. 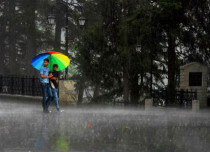 Due to these weather systems, moderate rain and thundershowers will occur over Sikkim, Assam, Meghalaya, Arunachal Pradesh, Nagaland and Mizoram. Light to moderate rain is expected over Northeast Bihar and Sub-Himalayan West Bengal. Rest all parts of the region will remain dry. 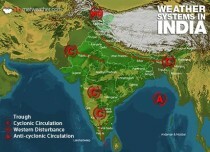 In North India, a Western Disturbance lies over North Pakistan and adjoining region. Therefore, light to moderate rains with strong winds will occur over the hills of North India. 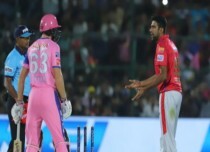 Its induced cyclonic circulation lies over Southwest Rajasthan and adjoining Gujarat. A trough is extending from this system to Central India. Due to these weather systems, dust storm and thundershowers will occur over many places of Punjab, Haryana and Rajasthan. 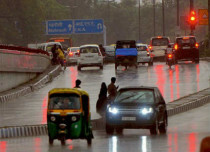 Heat wave like conditions will prevail in Delhi-NCR. 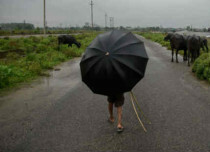 Due to weather systems effecting North India, parts of Gujarat, West Madhya Pradesh and Maharashtra will also witness rain and thundershowers with strong winds. A feeble cyclonic circulation lies over North Chhattisgarh and adjoining East Madhya Pradesh. Thus, parts of Chhattisgarh and Odisha will observe light rains. In South India, a cyclonic circulation is seen over Telangana. A trough is extending from this system to Comorin across Karnataka and Tamil Nadu. 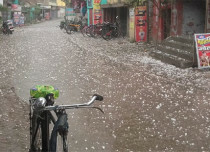 Due to which, rain and thundershowers are expected over isolated places of Telangana, Andhra Pradesh, Karnataka and Kerala. 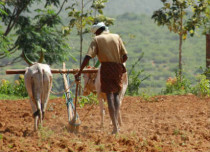 Tamil Nadu will remain dry.